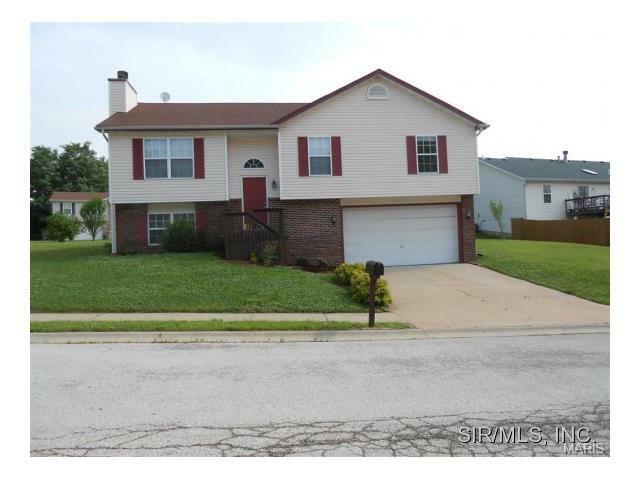 Great home, good location, and move-in ready! Lower level has an office, family room with fireplace, and a 3/4 bath. Kitchen has a breakfast bar, all the appliances, and lots of cabinets. From the dining room you can walk out to the deck. Oversize garage with opener. Very close to Scott Air Force Base, and only twenty miles to St. Louis, Missouri. Easy to show. Sits on a corner large lot with trees!